On January 25, AOL co-founder Steve Case announced nationally on MSNBC that he saw the growth and momentum amongst new ventures in Tampa Bay and that he was going to visit to showcase the tremendous amount of progress here as part of his Rise of the Rest Tour. Now on his eighth tour, Rise of the Rest has become a key indicator that a community is on the rise, and now the spotlight will shine on our region. Following his “you’ve got mail” days, Case has launched Revolution, a venture fund that invests in exciting, high-growth companies transforming traditional industries outside of Silicon Valley, New York and Boston. Revolution has discovered and supported companies that are becoming household names being built all around the country, including Clear, Sweetgreen and Framebridge. Each year, the Revolution team selects a region to engage with and learn about, which they call “The Rise of the Rest Tour.” As they get to know companies during the tour, they can make seed stage investments in the region (the earliest stage of institutional investment in a startup). 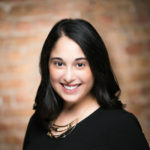 ** Additionally, the Rise of the Rest team has a national megaphone about the state of entrepreneurship in the United States and can use that power to highlight the success stories emerging from a region. The regions that came before us benefited from the spotlight on their community. Now it’s our turn. 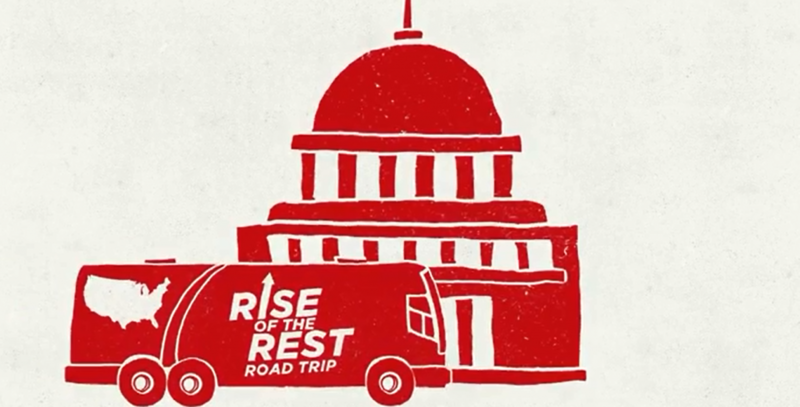 The Rise of the Rest tour is coming to Florida and Puerto Rico on April 29 – May 3. They will stop in St. Petersburg and Tampa on May 1. Over the course of a 12-hour day, the Rise of the Rest team will dive into our entrepreneurial community and meet founders & their teams, investors, corporate supporters, academic partners, entrepreneurial support organizations and government officials who all work tirelessly building Tampa Bay into a great place to build a business. This is so true. We are building our region and taking it to the next level. Now we have a chance to share that message with everyone outside of Tampa Bay with the help of Rise of the Rest. When the Rise of the Rest team arrives in Tampa Bay on May 1st, it will be a whirlwind. How do we ensure that we maximize our moment in the spotlight? To shine, Tampa Bay needs your support – your awareness, your voice and your participation. Read more about the power of the Rise of the Rest tour. Tell your network about the tour – tell them something is happening in Tampa Bay. Tune in to our Facebook Livestream, which will feature the evening celebration, including a fireside chat with Steve Case, Jeff Vinik2 and the Rise of the Rest Pitch Competition where 8 finalists will pitch for a $100k investment. Originally published on Tampa Bay Inno. © 2019 Embarc Collective. All rights reserved.